Wouldn't it be cool to have these carriages sharing the bike path with our biking friends? Some tourists just love New York City's horses that draw the Victorian-style carriages. During the holiday season a steady stream of tourists takes the expensive, but iconic horse carriage ride through Central Park.But probably not for long. Mayor-elect Bill de Blasio reiterated his position on what he calls animal cruelty. He said his administration will shut down the industry. Some tourists we spoke to seem dismayed. But animal-rights activists, who backed candidate de Blasio for mayor, are overjoyed. When de Blasio becomes mayor Wednesday he cannot declare horse carriage rides illegal. But a bill is before the City Council. If the council passes the bill and de Blasio signs it, it could close down the horse carriage industry. Carriage drivers and owners made a public request of the new mayor: come meet with us and the horses and see where they live and how they are treated. No word from the de Blasio camp. The mayor-elect has suggested that old-style electric cars could replace the carriages. That would mean no pollution and no horses. PRESS CONFERENCE 12/30/13 11AM: Boardwalk Community Garden, Coney Island: Bulldozed. Community Outrage! 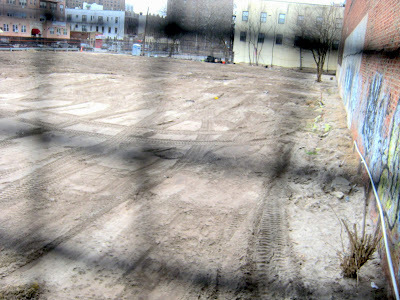 Boardwalk Community Garden, Coney Island: Bulldozed. Community Outrage! Brooklyn, NY – On Monday, December 30 at 11 a.m., a Press Conference will feature individuals whose long-standing community garden was bulldozed on 12/28/13 by iStar Development. At issue is whether the developer and the NYC government agencies that manage NYC parks have followed proper legal procedures for permitting this pre-dawn bulldozing to take place. The NYCCGC has introduced documents clearly showing that the Boardwalk Community Garden is Mapped Parkland – which means that the community garden is entitled to very stringent environmental law protections against real estate development. NYCCGC asserts that the City is not following its own rules that govern the review process of the environmental impact assessment. In November, the City moved to change those rules in such a way that could adversely impact all community gardens. By deceptively lowering the bar, it is likely to become easier to bulldoze other existing community gardens much like what took place at 5 a.m. on December 28th. Recent prior talks had suggested the developer would offer gardeners alternative sites for transplanting their garden. But the pre-dawn demolition demonstrated that the developer had no such intent. While the Boardwalk Community Garden has been destroyed, the will of the people perseveres. This is a call for NYC policies that protect the hard work and dedication of community gardeners. We urge that the incoming mayor (Bill de Blasio), the new Brooklyn borough president (Eric Adams) and all the elected officials find a proper solution for this illegal occupation of a garden on designated NYC parkland. Public parkland destroyed by a corporation without any input from the community will not stand. The community is seeking a win-win solution to re-establishing their 16-year-old garden. Renovated Ocean Parkway bicycle/pedestrian path opens. 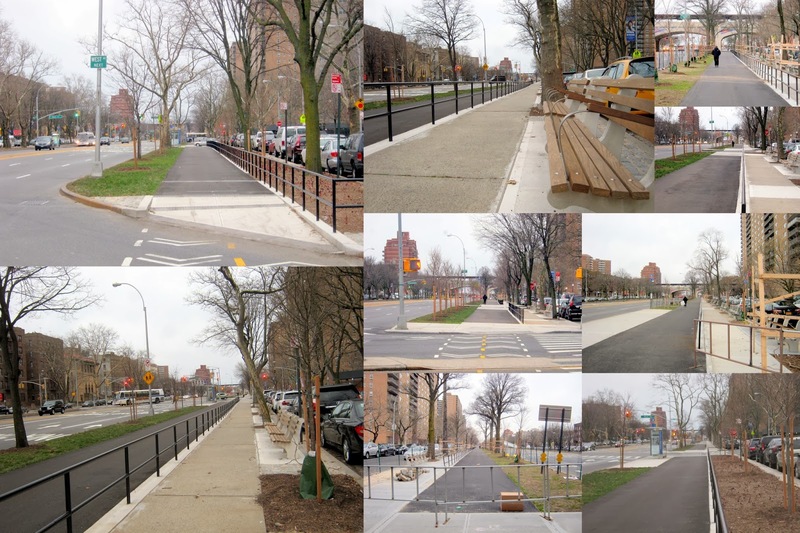 The fences and barriers are gone and the section of Ocean Parkway from the Belt Parkway to Brighton Beach Avenue is now open for bike riding and walking (just a small area still still has tree protectors). But now it can be enjoyed for all and bike riders should be especially pleased with a repaved path and the end to sharing the the service roadway with cars heading down to the beach. The sign that announced the completion day as the summer of 2014 has been removed and we're glad the city has decided to complete the project way ahead of schedule. Now the next project on the west mall should be the bike path from Avenue O to Avenue X with a particularly hazardous stretch between Avenue V and Avenue X. Hope our new couccil members, Mark Treyger of the 47th district, and Chaim Deutsch, of the 48th district, will support an immediate resumption of the completion of the Ocean Parkway malls that suddenly stopped a few years ago. A developer bulldozed a beloved community garden in Coney Island on Saturday to make way for an amphitheater — uprooting 20 chickens on a decades-old plot that survived Hurricane Sandy. Construction workers entered the Boardwalk Garden under the cover of darkness and chucked tools and wheelbarrows, along with farm fowl and a colony of feral cats, activists say. The chickens were placed in pet carriers on the sidewalk and the felines were left fending for themselves. “They destroyed life!” fumed tearful volunteer Elena Voitsenko, 60, a Russian immigrant who told The Post she’ll take in the birds until they find a new home. Workers razed the sprawling, 70,000-square-foot garden on West 22nd Street about a week after the City Council approved plans to convert the empty Childs Restaurant and its adjacent land into a 5,000-seat venue. THAT’S FOWL! After the overnight demolition, chickens who had lived at the garden were crated and set out on the sidewalk. What the garden once looked like. The $53 million project was trumpeted by outgoing Borough President Marty Markowitz, who tried previously to build a controversial amphitheater in Asser Levy Park in 2009. Under the new plan, the city will buy the Childs building from iStar Financial and turn it into a restaurant and concert venue. The adjacent garden is slated to become a seating area. The community board voted against the project in September, and locals have railed against turning the historic property into a noisy venue. Throughout Saturday, volunteers recovered their belongings after workers knocked down plots for tomatoes, cabbage, zucchinis and other vegetables. Residents say they’ve run the garden since the 1980s. The city Economic Development Corp., which is spearheading the project, referred questions to the borough president. Markowitz’s office did not respond to requests for comment. But Mark Cottingham, a consultant for the project, said the urban farm was decommissioned in 2004 and was operating illegally. CONEY ISLAND - An attempt by community members to preserve their garden on the Coney Island boardwalk came to an end early this morning as the site was abruptly bulldozed by the city. Garden supporters say they've been rallying to save the garden, but the city wanted to tear it down to make room for a new amphitheatre. Residents have opposed building one for years, saying they don't want another building on the boardwalk. The New York City Parks Department says the community didn't have the legal right to use the land as a community garden. The land owner released a statement saying it helped develop an existing community garden just blocks away for members to use. Supporters say they are shocked at how the garden was destroyed without ample warning. 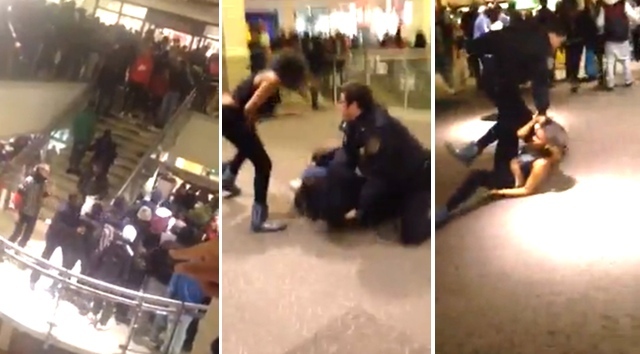 Breeanah Thomas, 15, told CBS about confrontations with security. "They thought they were going to run us out, but they didn’t run me out." Some Brooklyn residents are protesting the planned redevelopment of what they call a cornerstone of their community. The Boardwalk Community Garden in Coney Island may not look like much this time of year, but residents grow everything there from cucumbers to tomatoes and zucchini. They say the 5,000 seat ampitheater planned for the site would tear at the heart of their neighborhood. "We fight for this place because it's a community garden and it's very...make us happy, older people to work, to produce. We have here Russian, Spanish, African American people and we, over here, it brings us together," said Elena Voitsenko, a community resident. "We're going to fight to keep this garden because we love not only what we do, as far as growing, but we also love the people that we are very fortunate to meet here," said Yury Openzik, a community resident. Community members say the city is rushing the project and should ask for residents' input before moving forward. Boardwalk community garden fights on. Thor is making it rain for councilman and congressional candidate Domenic Recchia. Recchia (D–Coney Island) is picking up cash for his campaign to unseat Rep. Michael Grimm (R–Bay Ridge) from friends and family of his old People’s Playground ally, land baron Joe Sitt, the founder and chief executive of Thor Equities. Sitt has personally donated $5,200 — the maximum allowed — to Recchia’s quest to replace Grimm as the representative for Staten Island, Bay Ridge, Bensonhurst, and parts of his native Gravesend. Sitt’s wife, Betty — whose last reported job was “homemaker” — matched her husband’s generosity, and another homemaker, Paulette Bailey — wife of Thor Equities consultant Morris Bailey — enriched Recchia’s warchest by $5,200, as well. The Baileys’ son-in-law and grandchildren have contributed a combined $18,100. Recchia also received $2,500 from Morris Missry, who for 18 years was the partner of Jesse Masyr, Sitt’s attorney and ardent advocate through years of bitter bargaining with the city. And the Capalino family, owners of a public relations firm registered as a lobbyist for Thor, has given the man known as “Mister Coney Island” $6,700 in his bid to become “Mister Staten Island.” Capalino employees have chipped in an additional $550. The $43,450 haul should come as no surprise to anybody familiar with Recchia’s history with Sitt. Documentarian Amy Nicholson’s 2013 film “Zipper: Coney Island’s Last Wild Ride,” captured Sitt and Recchia recalling 2001 a conversation in which Recchia told Sitt that would pitch a zoning change to allow for upscale residential and retail development in Coney Island’s amusement district — and the only thing missing was an interested developer. Recchia pushed his proposal in City Hall, leading to the formation of the Coney Island Development Corporation in 2003 to investigate new business possibilities there. Sitt then went on a spending spree in Sodom by the Sea, snapping up famed funzone Astroland and countless other carny-occupied parcels, which then went for an average of $1.3 million an acre. The transactions left Sitt sitting on two-thirds of the land the city hoped to redevelop. The developer put out a slew of eye-popping architectural drawings of a Vegas-ified People’s Playground, and Recchia urged the city to change the zoning laws to allow Sitt to realize his vision. But Mayor Bloomberg was wary of Sitt — of his outlandish designs for Coney, and of his reputation as a property-flipper. Sitt had bought Albee Square Mall in Downtown Brooklyn in 2001 and convinced the city to change the zoning to let him erect the borough’s tallest tower. Instead, Sitt built nothing at all, tore the mall down, and sold the lot — its value boosted hugely by the regulation changes — for 10 times what he had paid for it. The city announced that it intended to find another private partner to refurbish the run-down destination — and to take over Sitt’s properties. Sitt reacted to the city’s rejection by evicting Astroland and many of his other carnival game tenants, and bulldozing the buildings that housed their amusements — stabbing at the heart of Coney to force the city to bend to his will. Bloomberg offered to pay $105 million for his 10.5 acres, — but Sitt demanded $140 million. Recchia fought hard to prevent the city from using eminent domain to seize the land for a pittance — the very threat of it would have tanked the value of Sitt’s fallow holding and enormously strengthened the city’s hand in negotiations. Ultimately, Sitt recieved $95.6 million for less than seven acres of amusement district turf — roughly Sitt’s original asking price. Both Recchia and Sitt declined to comment on the contributions. The Coney Island Polar Bear Club is the oldest winter bathing organization in the United States. We swim in the Atlantic Ocean at Coney Island every Sunday from November through April. NEW YEAR’S DAY: Assemble on the Boardwalk at Stillwell Avenue, Coney Island. SWIM TIME 1:00 PM SHARP, arrive early. BRING WARM CLOTHES, SURF BOOTS OR OLD SNEAKERS,TOWELS AND DEFINITELY BRING YOUR CAMERA. 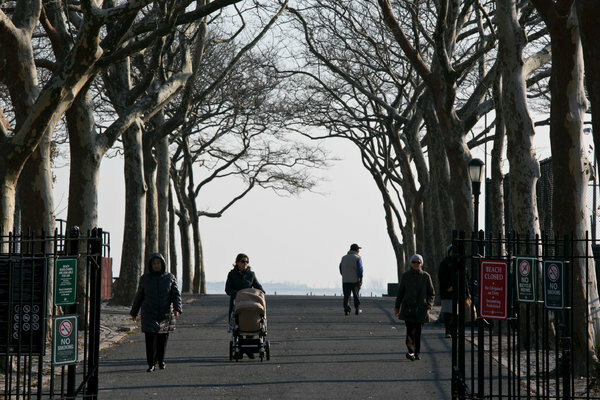 The NYC Parks Department provides changing facilities on the Boardwalk at Stillwell Avenue. The Bikers vs. the Skateboarders showdown under the Belt Parkway overpass. shortly after Mary was hanged in Erwin, Tenn.
"Topsy was marquee attraction to Coney Island’s Luna Park at the turn of the century. But her star power turned into notoriety in 1903, when, after being jabbed with a pitchfork, Topsy lashed out at her trainers. Topsy was sentenced to death by electrocution. As 1,500 people watched, Topsy’s body was hit with a current of over 6,600 volts. She died almost instantly. Thomas Edison filmed the event, titling it “Electrocuting an Elephant” (Google it, but be warned, it’s not for the faint of heart)"
Cement ramp to boardwalk replaces wooden pathway. Is this the first of many others to come? Work on the historic Childs Restaurant moves forward as the City Council approved the new amphitheater. The Atlantic Express private bus company parked hundreds of buses here but now they are in bankruptcy. The walkway that connected the beach to the subway line has been completely removed. A new entrance to Brighton beach will be constructed. The New York City Council gave a parting gift to outgoing Borough President Marty Markowitz, greenlighting his proposal to create a new open-air auditorium, green space and restaurant at the former site of Childs Restaurant on West 21st Street and the boardwalk in Coney Island. The Council voted in favor of a resolution supporting a 10-year special permit allowing the 5,099-seat amphitheater at its final meeting of the year yesterday, where the majority of the legislative body’s representatives will give up their seats to term-limits on December 31. Related resolutions that also passed yesterday in order to make way for the project include creating a special zoning district, as well as the acquisition of land between West 21st Street and West 22nd Street, and the elimination of the street between West 22nd Street and West 23rd Street. "...Tuesday, the first day of Mr. Bloomberg’s valedictory tour across New York City, took him to Brooklyn, the borough that has grown and flourished like no other during his tenure. The occasion, the opening of the rink at the new Samuel J. and Ethel LeFrak Center, gave him a chance to reflect on his mayoralty: the parks he had opened (“a historic” effort), the crime rates (so low that “it just defies imagination”), even his attempts to learn Spanish." A 16-year-old girl was killed and two women were critically injured in a fire that engulfed the two upper floors of their three-story home in Brooklyn early Friday morning, officials said. "Due to strong opposition to this life-saving legislation within the Bloomberg administration, I believe it will be more beneficial to reintroduce my legislation next year," said Councilman David Greenfield, the sponsor of the legislation. The City Council’s Committee on Land Use approved plans for an amphitheater, a public park and the restoration of a storied Coney Island restaurant along the boardwalk Wednesday morning. That step paves the way for the full council to green light the project on Thursday, during its last scheduled meeting of the year. The proposal for the Seaside Park and Community Arts Center project is being advanced by both the city’s Economic Development Corp. and an iStar Financial subsidiary called Coney Island Holdings LLC. Under the plan, zoning laws would be altered and permits granted to allow for the construction of an outdoor amphitheater along the boardwalk near West 21st Street, that could accommodate 5,099 people. In addition, a public park would be built and the landmarked Childs Restaurant would be restored and reopened as an eatery and catering facility. The proposal has the support of the local City Councilman Domenic Recchia Jr., D-Brooklyn, which means the proposal is likely to sail through the full council tomorrow, since the legislative body typically votes in concert with the local lawmaker. “The improvements proposed in this project will undoubtedly restore this iconic structure’s use to the community, provide multiple cultural and educational benefits, and greatly contribute to the area’s ongoing cultural and economic revitalization,” Mr. Recchia said in a statement. The amphitheater would be used for the free Seaside Summer Concert Series that was started by out-going Borough President Marty Markowitz, who also supports the project, as well as for paid concert events. In the off-season and between performances, it would be available for the community’s use. During the concert season, a removable cloth canopy would cover the area. The proposal is also viewed as something that could stimulate more residential development in the area. The park and community center are partially inside the Special Coney Island District, created in 2009 to help spur development both in a designated amusement section called Coney East, and new residential development in two areas called Coney North and Coney West. Developer iStar Financial is set to construct a portion of more than 2,500 units of housing slated for Coney West, although the firm is waiting for the city to complete infrastructure improvements to accommodate the new units. Before that happens, the firm saw the amphitheater and Childs Restaurant restoration as a means to make that area more enticing, iStar’s Karl Frey told the City Council hearing on Tuesday. In turn, he noted that would make the company’s residential development more viable. Lincoln High School’s football team, the Railsplitters (an awesome name, by the way), snagged their second title in three years with a 28 to 27 win at the PSAL City Conference championship at Yankee Stadium last week. The team bested Tottenville Pirates for the title, despite suffering its own setback: senior quarterback Javon Moore sprained his ankle during their first offensive play. He muscled through the game before heading to the hospital after the match. “He was a warrior and battled through and made a play when he had to,” Lincoln coach Shawn O’Connor told the Daily News. It was a tight game, in which Lincoln pulled ahead by one point with less than five minutes on the clock. We urge you to check out the Daily News article for the dramatic play by play. Congratulations to Lincoln High School (2800 Ocean Parkway) and the Railsplitters! The water at Coney Island was 41 degrees when 80 members of the winter bathing group inched their way in, club president Dennis Thomas said. Jerusalem — The heaviest snowfall in decades blocked roads across Israel and the Palestinian territories on Saturday, while torrential rains flooded areas of the Gaza Strip. The heavy snow prompted Israeli authorities to interrupt the Jewish sabbath to lay on relief trains. In northern Israel, 45 towns and villages were cut off and 200 snowbound motorists were rescued overnight, police said. Nationwide, 29,600 households were without electricity, nearly 13,000 of them in Jerusalem, the Israel Electric Corp said. Jerusalem city workers managed to clear most roads of drifting snow but appealed to residents to stay at home as fallen trees posed a persistent traffic hazard. Few ventured out, apart from observant Jews walking to synagogues. The two main highways into the city, which climb to around 795 metres (2,600 feet) above sea level, remained closed in both directions for a third straight day. Jerusalem-based meteorologist Boaz Nechemia told AFP that between 45 and 60 centimetres (18-24 inches) of snow had accumulated in the Holy City by Saturday. "We haven't had such a snowfall in some 70 years," he said, noting that a metre of snow fell on Jerusalem in 1920. With road travel almost impossible, authorities laid on free trains to Tel Aviv and Haifa on the coast, interrupting the usual shutdown of public transport on the Jewish day of prayer and rest, which runs from sundown on Friday to Saturday night. The map may be searched by specific address or cross streets, a specific precinct or a specific zip code. Individual graduated points can be examined by a mouse click which will provide access to the statistics represented by the graduated point. See photos of this Improv event on the August 18 post. Walked right into the middle of it. The long-awaited YMCA in Coney Island is set to open later this month, bringing with it a state-of-the-art facility for Brooklyn residents. The new 44,000-square-foot community facility — located at the corner of W. 29th St. and Surf Ave.— features a four-lane lap pool and a recreational pool, a full-court gymnasium and fitness and multi-purpose rooms. The plethora of pools means the Coney Island Y will house the largest aquatic center of any YMCA in the city - at least until the new YMCA opens in the Rockaways in January of next year. A major public oversight board voted unanimously on Dec. 4 in favor of outgoing Borough President Markowitz’s controversial dream of turning the former Childs Restaurant in Coney Island into a venue to host his summer concerts series. The City Planning Commission, a 13-member panel charged with approving major real estate projects, endorsed Borough President Markowitz’s pet project of converting the landmarked and derelict Childs building into a restaurant and arena complex — to the chagrin of residents who fear the Beep’s baby is bound to be unruly. 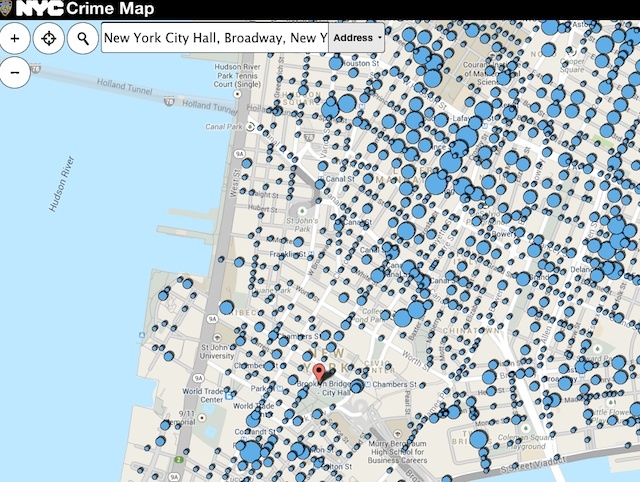 This Preliminary FIRM Data Viewer allows users to view preliminary FIRM and FIS report data for New York City. The viewer also includes hyperlinks to GIS data and PDF map panels and reports available through FEMA’s Map Service Center, the official source for preliminary and effective regulatory FIRMs. Online tutorials are available from FEMA which provide assistance in using both the FIRM andFIS Report, Please read the Description for information on these maps and the way to use them..
Mayor-elect Bill de Blasio was expected on Thursday morning to name William J. Bratton to lead the New York Police Department, according to two people with knowledge of Mr. de Blasio’s decision. 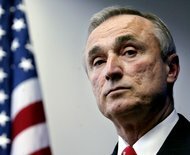 The move will return Mr. Bratton to the helm of the nation’s largest force at a time of historically low crime rates and a deepening rift between officers and the public. The appointment has been highly anticipated and will most likely be among the most consequential for Mr. de Blasio, who turned discontent with the Police Department’s stop-and-frisk practices into a key part of his winning election run. Mr. Bratton rose to international prominence after his first tenure as police commissioner in New York in the mid-1990s and had been considered a front-runner since Mr. de Blasio began mentioning his name on the campaign trail. The selection of Mr. Bratton, a well-known and generally well-regarded figure in law enforcement, appeared to reflect the tricky spot Mr. de Blasio finds himself in as he moves to reshape the Police Department’s street tactics, while sustaining the decline in serious crime. 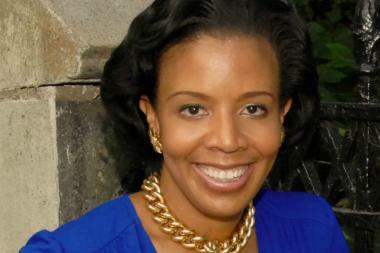 This article gives background with a number of links and quotes portions of the letter that Council Member Cumbo posted on her facebook page. The letters should be read in its entirety so click here to link to the facebook page. Brooklyn Borough President Marty Markowitz’s signature effort to convert the historic Childs Restaurant into a massive amphitheater is coming down to the wire — and it’s anyone’s guess whether the outgoing captain of Kings will complete his much-desired coup de grace. 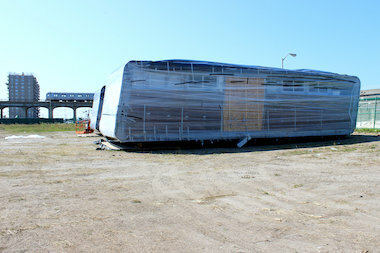 The City Council is expected to hold a hearing on the complicated proposal to renovate the boardwalk building on Dec. 16. City lawmakers will likely vote on it three days later, when the council holds its last full meeting of the session. “I’m hopeful that the city council will approve it,” said Markowitz. Any delay beyond Jan. 1, however, could doom the project. In September, the Coney Island community board voted against it, arguing that the approximately $35 million in public funds earmarked for the theater and a small park nearby would be better used to help repair infrastructure that was damaged by Superstorm Sandy. And the district’s incoming councilman agrees. “Coney Island cannot become a year-round destination, with jobs and economic opportunity for its residents, without infrastructure and transportation improvements,” said Mark Treyger. Critics have also argued that public money should not be going towards private development of a concert hall. Markowitz defended the plan, noting the building has sat empty for years. “It shouldn’t be held up. There’s no reason to oppose it at that location,” Markowitz said. He’s worked hard to ensure it passes. Markowitz said Monday that he talked to Council Speaker Christine Quinn about the theater plan before he endorsed her last April — a move in which he turned his back on then-Public Advocate Bill de Blasio, who hails from Park Slope. The unusual $53 million plan calls for the city to buy the Childs building — along with an adjoining lot between W. 21st and W. 22nd Sts. — from iStar Financial, the real estate investment company that acquired the historic structure from a developer after the economy tanked in 2008. According to plans, the amphitheater will seat 5,000 people with room for another 2,000 on a lawn behind it. The performance space could play host to as many as 40 concerts between May and October. Space will also be leased year-round to a yet-to-be-selected proprietor, to operate a restaurant inside the building. This is not the first time Markowitz’s hope of finding a permanent home for his seaside concerts has faced opposition. Public protests in 2009 blocked a planned amphitheater inside Asser Levy Park in Brighton Beach. Post by Friends of Ocean Parkway. 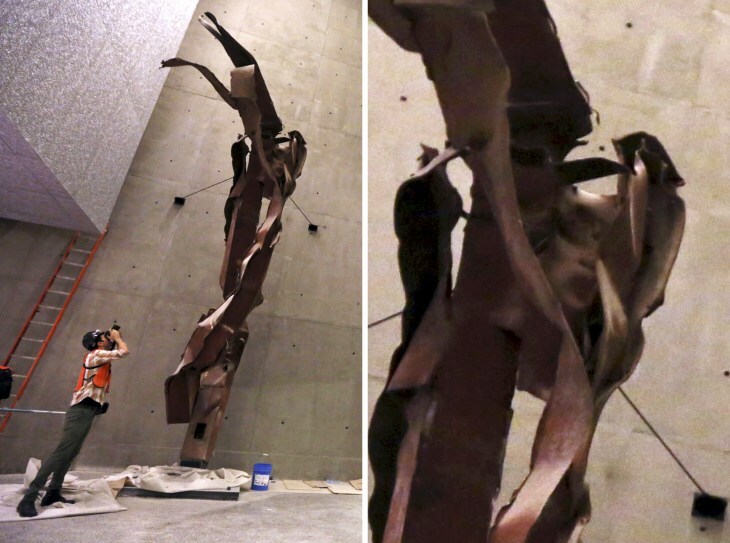 From the right angle, construction workers at the National September 11 Memorial and Museum at New York's ground zero can make out a sad-looking face that's been dubbed the "Angel of 9/11," seemingly emerging from the twisted steel of a girder that was hit by the first hijacked plane. The facelike feature is the result of natural corrosion plus a trick of the eye — but that shouldn't make the angel any less inspiring. The angel's dark eyes, nose and open mouth stem from a combination of factors, starting with the way the steel was twisted when American Airlines Flight 11 slammed into it on the morning of Sept. 11, 2001. Thanks for your interest in running with us in 2014! We're thrilled to announce that the application for the 2014 TCS New York City Marathon is now open with a special Cyber Monday-only processing fee of $5 (the fee returns to the usual $11 on Tuesday, December 3). Apply today and you'll also be entered into a contest to win (1) of 26 guaranteed, non-complimentary entries to the 2014 TCS New York City Marathon (read the rules here). All applicants must be 18 or older on November 2, 2014. Start your application or claim your guaranteed entry now! CLICK THE LINK ABOVE! Efforts to lower New York City's speed limit to 20 miles per hour run up against Albany's rule, says New York City Council member David Greenfield. Now, his bill would mandate a 25 mile per hour limit on some streets. He says that's not what he wanted, but adds it's part of a larger plan to get the state to give the city more authority to control its own roads.